Stay in Lake Garda's best hotels! Set inside the grounds of the Garda thermal spa, Villa Dei Cedri is 2.2 mi south of Lazise. A big big Jacuzzi in the room. (size for 6 peoples or more). The lake is unbelievable since have natural hot spring and can enjoy all kind of water service in the hot spring leak. The parts is huge and beautiful. Du Lac and Du Park Grand Resort is set in parkland in Riva Del Garda. Guests have free use of its 2 swimming pools, wellness facilities, and fitness center. Very accommodating from arrival until departure. Property is very relaxing, a lot of wildlife, easily accessible to the lake. Plenty of things to do on the property itself. Food was excellent. Set right on the shores of Lake Garda, Hotel San Marco is 1640 feet from the historic center of Peschiera del Garda. We loved the location!! The walking path and lake were right across the street. We walked into the town several times a day... where we found great restaurants and shopping. Many water activities were readily available. The breakfast was the best!!! The pool was very refreshing and a treat for our family. The interior was very modern and we appreciated the air conditioning! Friendly staff and easy to communicate with. We highly recommend this hotel! Located in the historical center of Arco, Pace 1954 Hotel offers free WiFi throughout and a terrace where you can enjoy drinks from the bar, open daily until midnight. This hotel was a highlight of our stay. We are thrilled we picked it. Our room was much nicer than expected (either remodeled or upgraded from when we booked). The bed was perfect, very quiet, everything was new and modern. The breakfast, included, was fantastic. Bike rental is available, the staff was incredible. Arco is a cool town! Parking in a nearby garage is 6E. Easy! Hotel Villa Rosa is right on Desenzano del Garda's lakefront, near a small beach area and a 10-minute walk from the town center. It offers a restaurant, an outdoor pool and hot tub. The staff was friendly and helpful. The pool area was very nice. The dining areas for breakfast were lovely. The breakfast was great. They provided good bikes to ride. When i rented a Vespa, they provided free parking overnight for me. This charming 4-star hotel has impressive Art Nouveau décor, a luxury spa and indoor and outdoor pools. It is in Riva del Garda center, 5 minutes' walk from the lake. The location was good. Calm atmosphere. In the center of Desenzano and a 5-minute walk from the harbor, Park Hotel features a rooftop pool with hot tub and a sun terrace. Set on the Garda Lake promenade, it features free WiFi. An excellent hotel to stay with kids. The peaceful Hotel Olivi is surrounded by olive groves on the Sirmione peninsula, a few steps from Lake Garda. Everything was perfect. Good facilities and very friendly staff. Breakfast was amazing, lovely food. I just suggest to everyone! Located in Sirmione, the Olimpia is an intimate hotel with a relaxing garden. It offers free parking and classically furnished rooms with a private bathroom and free WiFi. The owner is very kind. Gave us maps and guidence around the area. In the historical center of Desenzano, the Alessi Hotel is just 656 feet from the shores of Lake Garda. It features 2 restaurants, a pizzeria and a wine shop. The location is great and the staff was outstanding. Offering an outdoor pool, terrace and fitness area, the Enjoy Garda is in the center of Peschiera, just over 1 mile from the Gardaland theme park. Modern and beatiful hotel. We loved how lobby and reastaurant looks like. Featuring panoramic views of Lake Garda and the Sarca River Valley, Hotel Isola Verde is an intimate boutique hotel located in Nago-Torbole. It offers a panoramic terrace with pool and hot tub. Very nice breakfast. Spacious bath with a large shower by European standards. Offering an outdoor, seasonal pool, Hotel Nazionale has is located close to Lake Garda and Desanzano town center and station. Proximity to station, buses and ferries. Spotlessly clean. Great service from all staff. Hotel Al Sole is set 0.9 mi from the Affi exit of the A22 motorway, 3.1 mi from Lake Garda, and 15 minutes' drive from Verona. Rooms are large and feature a flat-screen TV with Sky channels. Very comfortable, big room with balcony, large bed! The Fiorella is a hotel with outdoor swimming pool. Located in a quiet area of Sirmione, it is 1312 feet from Lake Garda, and a 5-minute walk from the Terme Di Virgilio spa. Parking is free. Very good choice to stay a night. Good parking, tasty breakfast, clean rooms, hospital staff. Set in the medieval village of Sandrà, Corte Malaspina is a renovated country house. It offers free parking, and is great for exploring the Lake Garda area. The hotel and room was very clean and well maintained. Set on a hillside and surrounded by 40 hectares of forest, Villa Sostaga is a 4-star hotel set in an impressive location looking down on Lake Garda. Everything! An amazing location with incredible views of the lake. Aktivhotel Santalucia is set in a 3000-m² private garden with swimming pool and olive groves, just 656 feet from Lake Garda. The property offers a small wellness and fitness center, and a sun terrace.... The hotel is very clean and modern, Staff is 100% always ready to help and give you information. Relais La Speranzina provides accommodations with free WiFi in the Old Town of Sirmione, a few steps from Sirmione Castle. Staff was professional AND friendly. With a restaurant, bar and garden, Hotel Faccioli is in a quiet area of Valeggio sul Mincio, a 15-minute drive from Lake Garda. Wonderful location and lovely cycle friendly staff. Very big room! Featuring a garden and free Wi-Fi throughout, Garda Family House offers rooms with air conditioning in Brenzone, 1.6 mi from the center. A business center is available on site. Food in The Restaurant cheap and veeeery goood !!! Lake Front Hotel Mirage is a design hotel located only 164 feet from the beach. It offers wonderful views of Lake Garda, an outdoor swimming pool and a spa. Had a fantastic stay at Hotel Mirage. Palace Hotel offers air-conditioned rooms with LCD TV and free Sky channels. It features 2 swimming pools, including a saltwater pool located on the rooftop. Free public parking is available nearby. great hotel, beautiful clean room, nice garden! and they have parking! Parc Hotel is a modern property with indoor and outdoor swimming pools, wellness center, playground, and sports fields. It is a 5-minute drive from the Peschiera exit of the A4 Motorway. Very nice resort, with swimming pools, mini golf and plenty of animation especially for kids. Boasting an outdoor pool and hot tub, Hotel Ventaglio offers rooms in Bardolino, 1148 feet from the shores of Lake Garda. An on-site bar and free WiFi are featured. 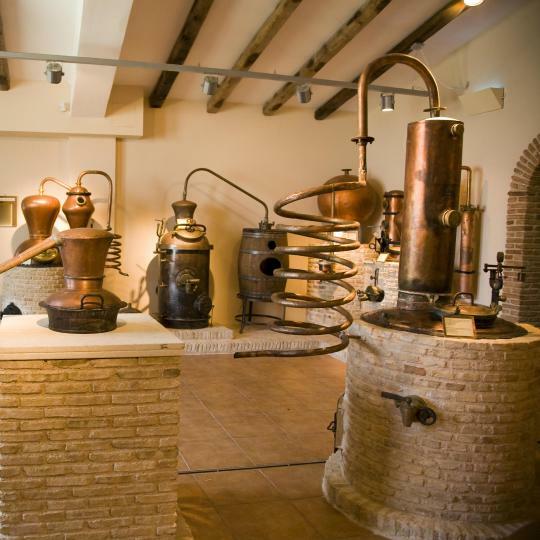 Retrace the origins of wine making in this little museum. The panoramic views of Lake Garda are spectacular from here. Bardolino celebrates the grape harvest with a 5-day festival. 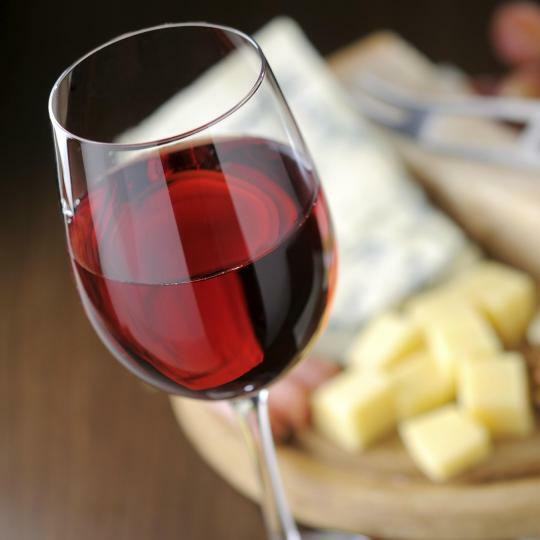 Along the lake’s shores, visitors can sample wine and regional dishes. This stunning peninsula provides a perfect spot for sunbathing and swimming. The surrounding restaurants serve specialities of the region. 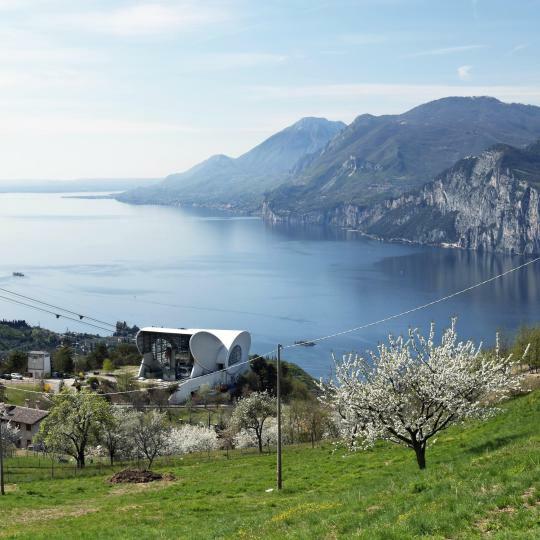 Enjoy a ride on this cable car that guarantees breathtaking views of both the beautiful Lake Garda and the snow-capped Mount Baldo. Get to know how plump green olives become delicious Italian olive oil. 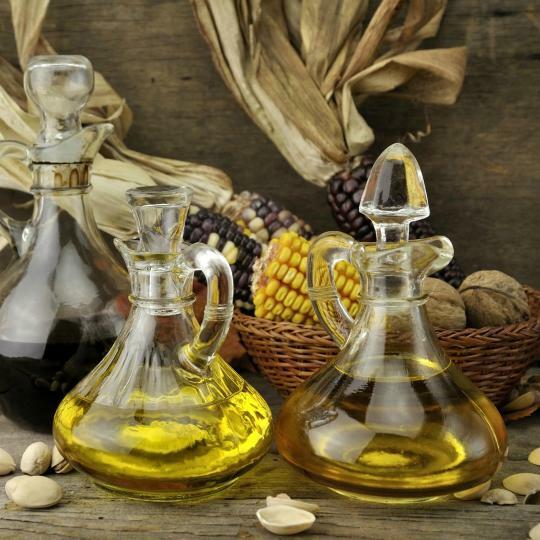 The souvenir shop is a gem for olive oil products. 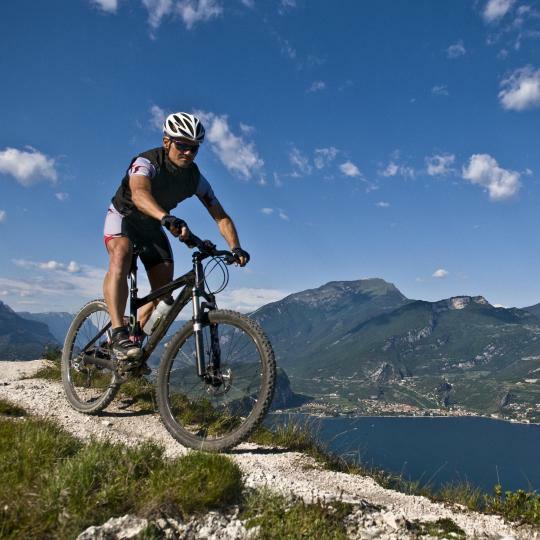 Mountain-biking around Lake Garda offers adventurous terrain, panoramic photo opportunities and exhilarating experiences. Visit the pastel-coloured Desenzano and soak up the chic atmosphere along the promenade, beautiful at dusk when the lakefront road closes to traffic. 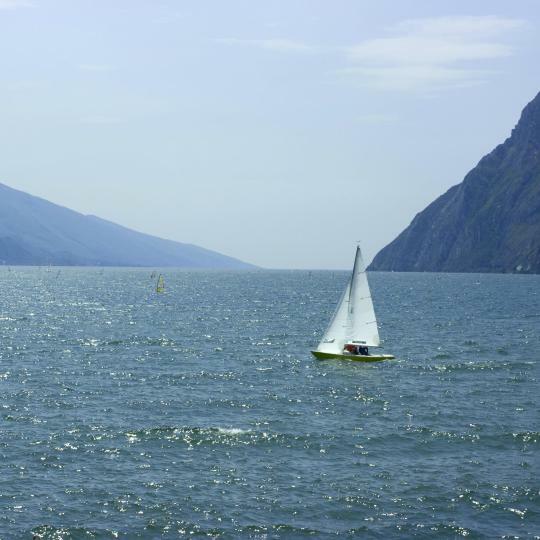 With all-year-round wind, picturesque Lake Garda is an ideal spot to hoist your sails and join a regatta. This is an amazing hotel. 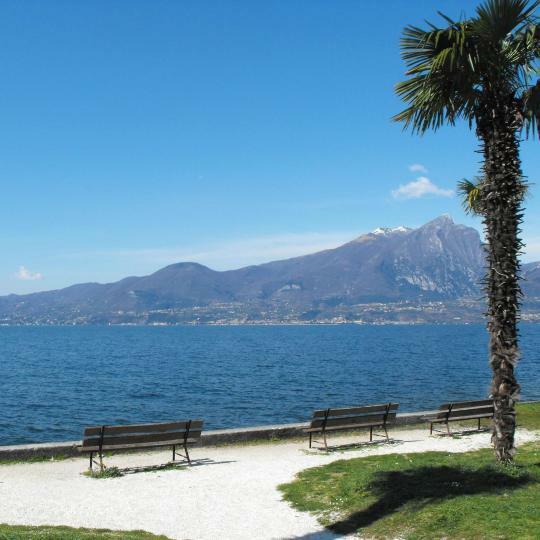 It is near the lake Garda, really good location with restaurants, shops and riviera nearby. Parking place is pretty cheap and 500 meters from the hotel. Our room was big with big windows viewing the lake, and small balcony. Bed was really comfortable. Breakfast is served on the 5th floor of the hotel - there is an open-air terrace overviewing the lake, the mountains and the oldtown. Amazing view and experience!! Staff was really friendly and helpful. Everything was great from the staff to the location. The staff is very friendly and helpful and goes out of their way to make a pleasant experience. The location is close to everything and good access to other areas. There are also bikes that you can use to explore the area. The lake and pool are right there and the views are awesome. The breakfast was also very good. This is a great hotel for your stay in Lake Garda. Loved my room! Had considered my requests of an older lady for a lower floor and near elevators. King sized bed and walk out terrace with all else outstanding. Had a great hourly 10 minute shuttle to the old port city center and to arrange for Lake Garda towns. Nearby hotel golf and special family activities. Huge seasonal outdoor pool with moderate inside pool. Spacious hotel with meeting rooms. Such an unexpected pleasure! There is attention to every detail at Hotel Luise, from fun modern design to umbrellas to borrow if it rains. Breakfast was just great, as were all the little comforts in our room. A helpful and welcoming staff. With free parking and a fabulous location only a 5 minutes walk to Lake Garda, Hotel Luise sets a very high standard. We wished we could have stayed longer. Family of 4. Traveling to Italy for the first time. We loved Torbole and wished we had booked the hotel for longer time. Our room was one of the best rooms in the hotel with large private balcony with marvelous view over Lake Garda. The breakfast was also superb. I really enjoyed the location on the shores of Lake Garda, in the center and near the harbor, I liked the hotel had elevator and air conditioning, I liked the tasty breakfast but especially I liked the hotel staff that was very helpful and friendly. Excellent hotel conveniently located in the centre of Sirmione. Very good hosting by the owner who made us feel very welcome. A medium-sized hotel which has the cozy feeling of an auberge. Comfortable room with excellent views over Lake Garda. Hotel sits at the base of the beautiful mountains on lake Garda, 5 minutes walk to the lake, beautiful spa with sauna and steam rooms, free bikes with great paths to reach nearby cities, LOVED our time here and plan to return! The hotel is so convenient for rail travel to wonderful places like Venice, Verona and Milan. The bus service to the towns of Lake Garda operates from outside the hotel and the town of Peschiera is just a short walk away. Very friendly staff This hotel exceeds the three star rating and I would recommend this hotel very clean and comfortable, great bar and pool area, excellent transport links, an excellent base for exploring Lake Garda. This hotel was great. The staff was very friendly and you could tell that they all took pride in the hotel. Great location to explore Lake Garda. Restaurants are within walking distance. Good value of money with great location. I love the breakfast that hotel provides with various kind of food. Impressive at my first visit to Lake Garda. Beautifully situated, very close to Lake Garda (just 5 minutes in the car), excellent apartment, ideal for families. Would highly recommend it. We had a very friendly welcome; the room was comfortable with a side balcony view of Lake Garda; the hotel was clean and has a good location. Great location for lake Garda and desenzano piazza. Breakfast is great and hotel price is one of best in area. Private parking. Lake Garda is stunning and the hotel is right across the street from the marina and beach. Easy walking to the old city. 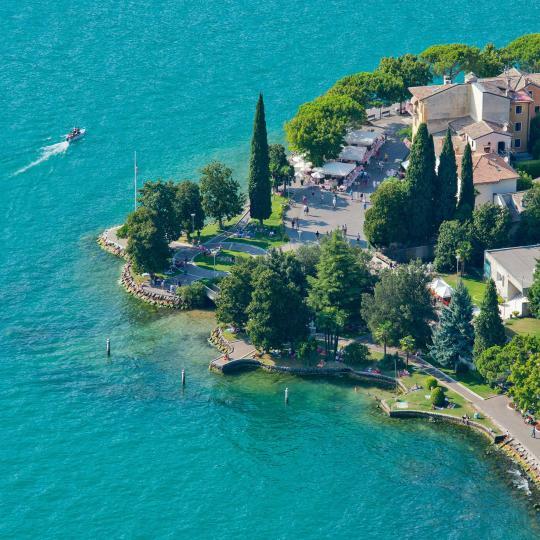 Charming hotel in a great location for a stay on Lake Garda. Special mention for the friendly and helpful staff. Excellent location, very friendly staff and no hidden charges as with other hotels in lake Garda! !